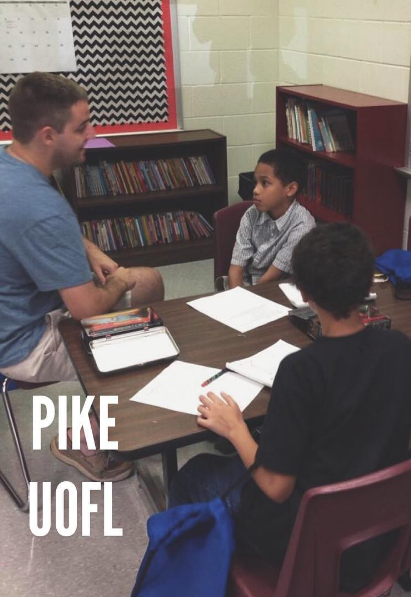 In Collaboration with Cochran Elementary, the Pi Kappa Alpha: Kappa Zeta Chapter at the University of Louisville provides an in-school tutoring and mentoring program, Cardinal Club, for the wonderful students at Cochran. College students within PIKE volunteer an hour once a week to review core Reading and Math questions to prepare for state-wide testing. Within the past year, Cochran and PIKE have increased the number of volunteers to 100. This means that 100 3rd, 4th, 5th grade students at Cochran get "one-on-one" time to learn. "One-on-one" time that each child deserves.